UCUES has made a difference! For example, the need for the Triton Food Pantry was established due to findings from the UCUES about the affordability of attending UC San Diego. 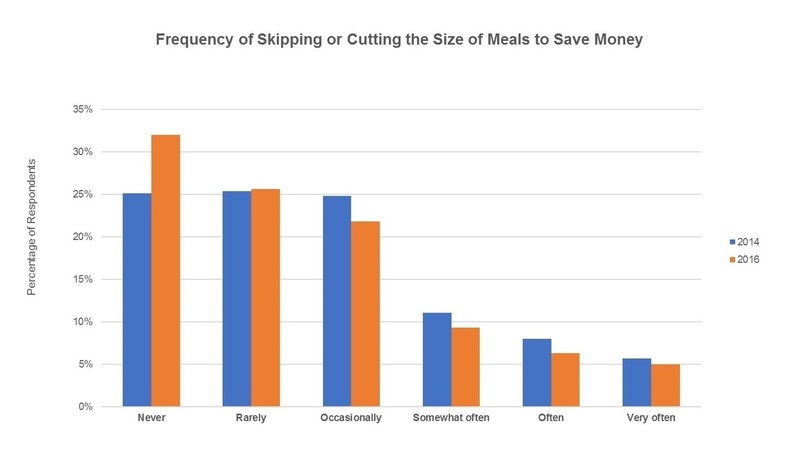 In 2014, about 25 percent of UC San Diego students have reported having to skip meals in order to save money in the UC Undergraduate Experience Survey (UCUES). When data about the prevalence of food insecurity was released, our campus community has been proactive in building a comprehensive food security model. By the Spring of 2015, Associated Students established the Triton Food Pantry to provide a discreet relief for the students. The Triton Food Pantry was just one of the ways you can make a difference in UC San Diego! By participating in UCUES, your answers contributes to the greater improvement of our campus. The UC Undergraduate Experiences Survey (UCUES) is the only official UC-wide sponsored survey of all undergraduate students. UCUES is used to evaluate satisfaction with course availability, teaching by GSIs and Professors within a given major, and the ability of students to get into their desired major of choice. UCUES has helped inform staff and decision makers about Basic Needs concerns, campus climate for diversity, advising satisfaction, and so much more. Decisions impacting your continued undergraduate experience will be made using UCUES data. UCUES provides important data for campus leadership and the UC system for reporting to the public the needs, concerns, and experiences of UC undergraduates. UCUES has been given on the UCSD campus every two years since 2002. The next UCUES will not be offered again at UCSD until spring, 2020.